Obama's "Science Czar" John P. Holdren, was once involved in a publication that included two accused Soviet informants among its founding sponsors. Several other socialist and communist sympathizers worked for the publication, including some with family ties to Barack Obama. The publication is the Bulletin of The Nuclear Scientists - world famous for its ominous symbol, the Doomsday Clock. The Bulletin was founded in 1945 by former scientists from the Soviet spy-riddled Manhattan Project, creator of the US Atomic Bomb. From the start, the Bulletin and its associated organizations, worked to weaken US nuclear superiority over the Soviet Union, through East/West scientific exhanges, conferences and a a steady stream of anti- nuclear propaganda designed to terrify the US public with tales of nuclear destruction and looming Armageddon. In doing so, it followed the Soviet propaganda line to a "T". It was not surprizing then, when in 1994, a former senior Soviet Intellignce officer named two of the Bulletin's founding sponsors, Leo Szilard and Robert Oppenheimer as sources of atomic information to the Soviet Union. According to Sudaplatov, a former wartime director of the Administration for Special Tasks, an elite unit of the Soviet intelligence service, Leo Szilard, Robert Oppenheimer and Enrico Fermi, knowingly supplied information to Soviet contacts during their work on the Manhattan Project. Sudaplatov claimed in his 1994 book "Special Tasks, Memoirs of an Unwanted Witness-A Soviet Spymaster". The most vital information for developing the first Soviet atomic bomb came from scientists engaged in the Manhattan Project to build the American atomic bomb - Robert Oppenheimer, Enrico Fermi, and Leo Szilard. We received reports on the progress of the Manhattan Project from Oppenheimer and his friends in oral form, through comments and asides, and from documents transferred through clandestine methods with their full knowledge that the information they were sharing would be passed on. In all, there were five classified reports made available by Oppenheimer describing the progress of work on the atomic bomb. According to Sudaplatov, Oppenheimer and Szilard were also to play an important role after WW2. After our reactor was put into operation in 1946, Beria issued orders to stop all contacts with our American sources in the Manhattan Project; the FBI was getting close to uncovering some of our agents. Beria said we should think how to use Oppenheimer, Fermi, Szilard, and others around them in the peace campaign against nuclear armament. Disarmament and the inability to impose nuclear blackmail would deprive the United States of its advantage. We began a worldwide political campaign against nuclear superiority, which kept up until we exploded our own nuclear bomb, in 1949. Our goal was to preempt American power politically before the Soviet Union had its own bomb. Beria warned us not to compromise Western scientists, but to use their political influence. .. They started as antifascists, and became political advocates of the Soviet Union. 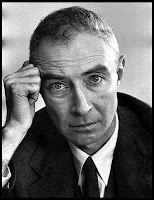 Several of Oppenheimer's relatives were Communist Party members. Szilard was almost sacked from the Manhattan Project as as a "security risk". In the 1960s he was involved with radical Washington DC "think tank", the Institute for Policy Studies - infamous for its ties to foreign intelligence services and currently a source of policy ideas for the Obama administration. Another Bulletin founding sponsor, Edward U. Condon was mentioned by FBI director J. Edgar Hoover in a May 1947 letter to US secretary of commerce Averill Harriman. Hoover claimed that that Condon was, as late as 1947, in contact with an alleged spy who had engaged in espionage for the Soviets in Washington from 1941 to 1944. Condon was also close to Polish Embassy personnel, several members of the Communist Party USA and served on the executive of an affiliate of the National Council of American-Soviet Science Friendship. 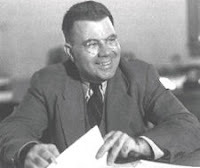 Other Bulletin founding sponsors included Harold C. Urey, a veteran of more than 20 Communist Party USA fronts, communist sympathizer Hans Bethe and "security risk" Isidor Rabi. By the time John Holdren was working on the Bulletin's Board of Editors in 1984, the situation had not greatly improved. Holdren's fellow board member Deborah Shapley, was the grand-daughter of astronomer Harlow Shapley, a veteran of dozens of Communist Party fronts. Sponsors of the Bulletin at that time included the old hands, Edward U. Condon, Hans Bethe, Robert Oppenheimer, Isidor Rabi and Harold C. Urey. Added to the roster were David Baltimore, an affiliate of the Institute for Policy Studies, Linus Pauling, a life long communist front activist and Jerome C. Wiesner , an Institute for Policy Studies affiliate and Lyndon Johnson Arms Control appointee. 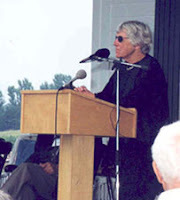 * Aaron Adler, Board chairman in 1988, Adler also served on the board was Board of Directors of the Chicago Center for US/USSR Relations and Exchanges, alongside Larry McGurty of the Communist Party USA and Betty Willhoite - later with Democratic Socialists of America and Progressives for Obama and a supporter of the Chicago Committee to Defend the Bill of Rights. Adler was also a member of the Communist Party front Chicago Committee to Defend the Bill of Rights and was involved in a committee to celebrate the 100th birthday of Communist Party member Paul Robeson. *Bernard Weissbourd of Chicago, a former Manhattan Project scientist, turned wealthy property developer. Weissbourd, a leftist, was married to Bernice Targ Weissbourd, possibly the Bernice Targ, who taught at the Communist Party's Abraham Lincoln School in Chicago in the late 1940s, with Frank Marshall Davis - later a mentor in Hawaii, to the young Barack Obama. Bernice Targ Weissbourd was also a member of the Chicago Committee to Defend the Bill of Rights. The Weissbourds' son, Robert M. Weissbourd served as Chair of the Obama for America Campaign Urban and Metropolitan Policy Committee and on the Obama Transition Housing and Urban Development Agency Review Team in 2008. *Bernard T. Feld, Editor-in-Chief. Feld was an affiliate of the Peace Research Institute, which became the Institute for Policy Studies and number 11, on Richard Nixon's famed "enemies" list. *Ruth Adams -Editor. Adams was a chair of the Institute for Policy Studies and supporter of the Chicago Committee to Defend the Bill of Rights. In the early 1960s Adams served on the Advisory Committee of the Hyde Park Community Peace Center. Other Council members included life long communist front activist Robert Havighurst - a founder of the Chicago Committee to Defend the Bill of Rights , Sydney Lens (aka Okun), a radical Trotskyist, later active in the Communist Party controlled Chicago Peace Council, Timuel Black and Quentin Young. Black and Young had both been accused of Communist Party membership by government investigative authorities. Timuel Black later joined the Communist Party offshoot, Committees of Correspondence. Both became officials of the Chicago Committee to Defend the Bill of Rights and the Democratic Socialists of America. More importantly, both became personal friends, mentors and advisers to Barack Obama. *Ruth Young - Managing Editor. The wife of Quentin Young and later also a member of the Chicago Committee to Defend the Bill of Rights. *James Cracraft - Senior Editor. In 1988, Cracraft served on the board of the Chicago Center for US/USSR Relations and Exchanges, under Aaron Adler. That is the milieu in which John Holdren worked in the 1980s. "Holdren opposed the Reagan administration's military buildup in the 1980s for fear it might "increase the belligerency of the Soviet government." He pooh-poohed any notion that "the strain of an accelerated arms race will do more damage to the Soviet economy than to our own." But that is exactly what happened, and President Reagan's defense buildup helped win the Cold War. Maybe John Holdren was influenced by the pro-Soviet, anti-American set he worked with? 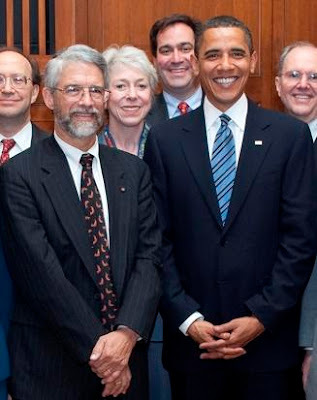 Today, John Holdren is President Obama's "Science Czar" - officially director of the Office of Science and Technology Policy in the Executive Office of the President. 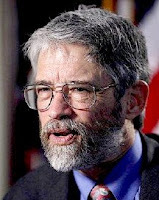 Holdren's brief encompasses global environmental change, fusion science and technology, comparative analysis of energy options, ways to reduce the dangers from nuclear weapons and materials, population control and the interaction of content and process in science and technology policy. All these areas have huge implications for America's national security, prosperity and future liberty. Should a man with John Holdren's past associations be entrusted with such a position? Was Holdren given a proper security vetting, or did he "slip through the cracks" like communist "Green Jobs Czar" Van Jones? Everything Obama learned about diplomacy he learned in kindergarten and it is us, the Americans who are paying for him not learing good lessons in the childhood. Hope his putting America on the path of "set a good example and others will follow" philosphy works! Thanks Trevor, once again you've peeled back the "Onion" letting us see more of who Obama is...an ideologue of the Marxist persuasion, who surrounds himself with birds of a feather. Most of the 'factual' information passed on to you is incorrect. The Manhattan Project was formed by patriots who sought to save the nation by developing a super-weapon that ravaged Japan and was considered for use in Europe. Following WW-II, many physicists and nuclear chemists suffered deep regrets at their role in creating a terrible weapon once unleashed, could never be withdrawn. Most of us had a genuine fear this invention could precipitate the end of the world. From these fears sprang the Concerned Scientists and Atomic Scientists. Most members were libertarians (like me), with some liberals and some conservatives, but people of conscience. A few friends were members of the John Birch Society. I knew of no communists nor socialists– the McCarthy atmosphere would have quickly sorted any out. In the 1950s and 1960s, the AEC held the purse strings and they, along with Admiral Rickover, would have outed any scientist with questionable politics. Given the nerve-wracking constant scrutiny most scientists endured for the sake of their country, I believe Sudaplatov's accusation against Oppenheimer, Fermi, and Szilard was disinformation. Whatever one believes about Obama, this is a wrongful accusation. I hope this is helpful. Thanks P Knudson, but not convincing. For a start, I was "given" nothing. Most of the article comes from primary source material. Sudaplatov's material is controversial, but it shouldn't be. Oppenheimers extensive communist ties are well documented. Szilard's pro communist record went back to 1919, at least. The Manhattan Project leftist element, helped the American patriots, primarily to save the Soviet Union from the Nazis. Once the war was over, their pro-Soviet loyalties came to the fore. Not all Bulletin people were socialists, (Teller for instance)but a large number were. If you couldn't see them, it was because you weren't looking very hard. that is an amazing photo! everybody, go click on the link, there's more. great post!